And now for something completely different…..Monty Python fans will no doubt remember that famous phrase. 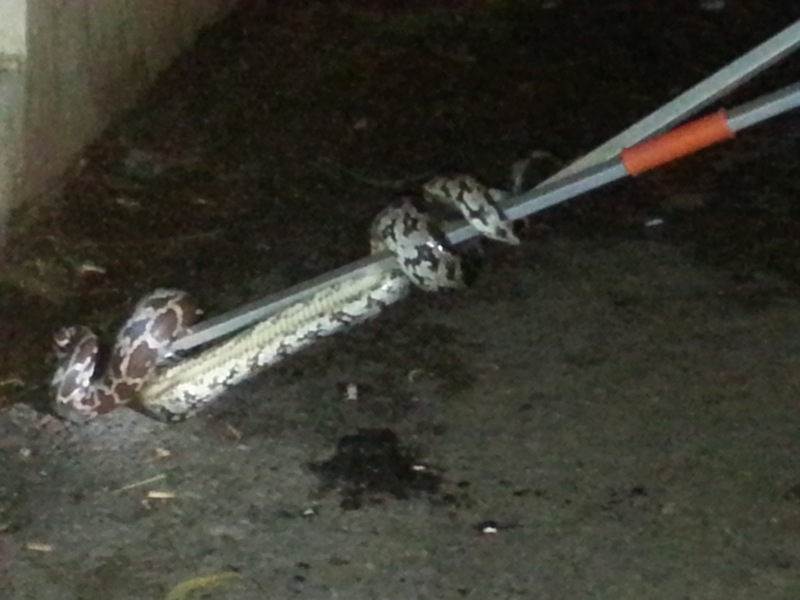 Would you believe this six foot wild python was captured right out front of our hotel a few nights ago?! I wish I had seen it in person. Thanks to Chef Samantha ( who snapped this pic) that I heard about it at all. Unlike Florida, pythons are not a common sight here in the middle of downtown Panaji, Goa! I inquired and was told it was removed to a safe wildlife area. The last snake we encountered was this one in a basket in Jaipur. This entry was posted in Uncategorized and tagged chef samantha nunes, Going to Goa Blog, Katy Allgeyer, marriott, monty python, pythons, Scott Morgan, snake charmer, snakes. Bookmark the permalink.